The intent of the 90-day waiver for agriculture was to provide the agency more time to clarify the rule’s applicability to agriculture, which included considering agricultural exemptions from the rule. Agricultural groups also asked the agency to review and clarify the HOS, RODS and Commercial Driver’s License (CDL) exemptions for agriculture. While it hasn’t yet responded to the second petition to extend the ELD waiver, the FMSCA did recently provide additional explanations of the ELD rule’s application to agriculture, along with clarifications of HOS and CDL requirements. The information is available on the agency’s website. 26,000 pounds or less and operating anywhere in the country, or 26,001 pounds or more and operated anywhere in the state of registration or operated across state lines within a 150-air mile radius of the farm. Peggy Hall, Asst. 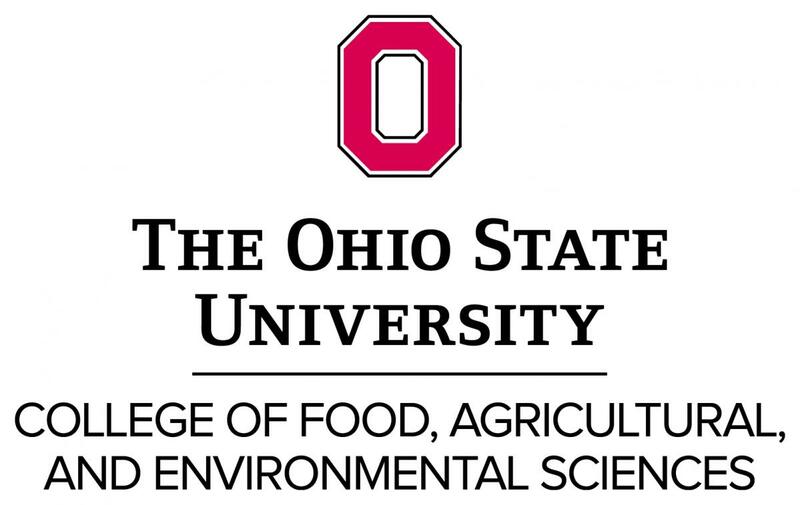 Professor, OSU Extension Agricultural & Resource Law Program . Tree obstructions, unwanted vegetation and noxious weeds are serious matters for Ohio farmers, which is why several Ohio laws provide mechanisms for addressing these problems through the board of township trustees. Two recent Ohio court cases illustrate the practical impacts of the laws and demonstrate the consequences of both following and failing to follow the processes provided by these laws. The first case, Kilroy v. Jackson Township, concerned the clearing of weeds and vegetation in a partition fence row. The case recently resulted in a judgment of over $56,000 against the board of trustees of Jackson Township in Montgomery County, including an unusual finding of personal liability against each trustee. The court determined that the trustees failed to perform a settlement agreement with the Kilroys concerning the clearing of their neighbor’s fence row. The settlement agreement arose from a lawsuit filed by the Kilroys asking the court to require the township trustees to perform their legal duties to have the neighbor’s fence row cleared of weeds and vegetation. Ohio Revised Code 971.34 allows a landowner in a rural area to ask a neighbor to clear his or her side of a partition fence between the properties and, if the landowner fails to do so, to petition the township trustees to step in and resolve the problem. The trustees must view the property and determine whether the fence row contains brush, briers, weeds and vegetation and if so, “shall cause them to be cut, by letting the work to the lowest bidder, or by entering into a private contract therefor.” The Kilroys petitioned the trustees under this process after their neighbors failed to clear the fence row when requested, but the trustees did not act on the petition or arrange for removal of the vegetation. After the Kilroys filed suit against the trustees and the neighbors, the parties entered into a settlement agreement in which the neighbors agreed to clear the fence row and the trustees agreed to have the row cleared if the neighbors didn’t do the work. The Kilroys later filed a second complaint alleging breach of the settlement agreement after neither the trustees nor the neighbors cleared the fence row. The second complaint included individual claims against the trustees for intentional interference with a contract and civil conspiracy. The neighbors finally cleared the fence row, but the Kilroys maintained the lawsuit against the trustees. The parties entered into a second settlement agreement in which the trustees agreed to pay the sum of $15,000 and to issue an apology letter to the Kilroys. Eventually, the matter ended up in court again for a breach of the agreement because the Kilroys did not receive either the $15,000 or the apology letter. The trial court determined that the trustees had signed the settlement agreement in both their official and individual capacities and had subsequently breached the agreement; the court awarded the Kilroys $15,000 as specified in the agreement plus an additional $37,558 in attorney fees and $3,888 for fees paid to expert witnesses. The trustees filed an appeal, but the Second District Court of Appeals agreed with the trial court’s decision. Contrast the Kilroy case with a second dispute in Sterling Township, Brown County, where a farmer could not drive his new combine down a township road because of overgrown trees and brush along the road. The farmer asked the trustees to trim the trees and vegetation but the trustees did not do so. The farmer then trimmed the vegetation himself and submitted an invoice to the township for $1,863. When the township did not pay the invoice, the farmer filed a lawsuit claiming that the township trustees had failed in their duty to keep the road free of obstructions and had also failed to eliminate a known safety hazard. Included in the suit was a request to remove the trustees from office for failure to perform their official duties. The Brown County Municipal Court dismissed the farmer’s case and the farmer filed an appeal on the claim alleging that the trustees had failed their statutory duty to maintain the roadway. The court of appeals analyzed Ohio Revised Code sections 5571.02 and 5579.08, which state that a township shall keep its roadways in good repair and shall cut or destroy all brush, briers, vines, and noxious weeds growing along the roadways between the first and twentieth days of June, August and, if necessary, September. The court noted that these sections of law do not provide the process for a private cause of action against the trustees as demanded by the farmer. To enforce the law, the farmer must follow the proper legal process, explained the court, which is to first formally request the trustees to perform the action and then ask the court for an order compelling the action, referred to as a “writ of mandamus,” if they fail to do so. In this case, the farmer did not formally present his request to have the trees trimmed to the township trustees. He had called each trustee personally by phone and had visited one trustee at his home. The County Prosecutor had advised the farmer to make an official complaint to the trustees, but the farmer never attended a trustee meeting or made a formal complaint about the vegetation. By choosing instead to take matters into his own hands and trim the trees and vegetation himself, the farmer had “self-imposed” his own damages, said the court. Seeking reimbursement for his own work was not the proper method for enforcing the township’s duty to clear the vegetation. The lesson here should be clear to both township trustees and farmers. Ohio law establishes duties and remedies for dealing with trees, weeds and vegetation in rural areas; township trustees must perform these duties and farmers must know how to seek a remedy. The different outcomes from these cases illustrate the importance of knowing and following the proper legal process. Licensing and registration. A license is not required for a “utility vehicle,” which is a self-propelled vehicle with a bed designed for transporting materials, such as a Gator or Mule. A 2009 law required registration for APVs and ATVs, defined as “self-propelled vehicles designed primarily for cross-country travel”–but the law exempted APVs and ATVs used for farming. As long as used primarily for agricultural purposes and the owner qualifies for current agricultural use valuation (CAUV), the APV or ATV does not require registration or a license. If stopped by law enforcement for failure to display registration, the farmer should explain that the vehicle is being used for agricultural purposes and the vehicle owner qualifies for CAUV. Operating on roadways. The local jurisdiction has authority over the operation of a utility vehicle, APV or ATV on or near roadways. A farmer may operate one of these vehicles on a roadway and to travel from one farm field to another if the county sheriff (or township police, if applicable) allows it. This requires the farmer to know whether the county or township allows APVs on the road. We checked with several county sheriff offices and learned that each allows farm-use APVs and utility vehicles on the roadways as long as operated safely. Ohio law provides guidance on safe operation for APVs in addition to ordinary traffic rules–the vehicle may not interfere with the movement of vehicular traffic approaching from any direction and the operator must yield the right-of-way to any approaching traffic that presents an immediate hazard. If the local jurisdiction does not allow APVs on the road or the farmer is operating the vehicle in an unsafe manner, the farmer could receive a traffic citation. Operating on berms or in rights-of-way. A farmer may drive an APV or utility vehicle on the berm or shoulder of a roadway if the terrain permits such operation to be undertaken safely and without entering a traffic lane. If the farmer cannot operate on the berm without entering a traffic lane, the farmer should operate entirely on the roadway. Child operators. A child who does not hold a driver’s license may not operate an APV or utility vehicle on a roadway or on any portion of the right-of-way. A child under the age of 16 may operate an APV on the family’s farm, and may also operate on another’s farm or private property if accompanied by a person who is at least 18 and holds a driver’s license. Other rules of operation. Ohio law has several prohibitions regarding APV and utility vehicles. A person may not operate the APV or utility vehicle on a limited access highway or its right-of-way, on another’s private property without permission, on land or waters controlled by the state except where permitted, on the tracks or right-of-way of an operating railroad, while transporting a firearm, bow, or other implement for hunting that is not unloaded and securely encased or for the purpose of chasing, pursuing, capturing, or killing an animal or wildfowl or during the time from sunset to sunrise, unless displaying lighted lights as required by4519.20 of the Revised Code. Slow-moving vehicle emblems. Farmers should be aware that there is confusion over whether an APV or utility vehicle must display a Slow-Moving Vehicle (SMV) emblem. Ohio law requires display of an SMV emblem on any farm machinery designed for operation at 25 miles per hour or less and defines “farm machinery” as all machines and tools used in the production, harvesting and care of farm products, including farm trailers, agricultural tractors, threshing machinery, hay-baling machinery, corn shellers, hammermills, and machinery used in the production of horticultural, agricultural, and vegetable products. But Ohio law also prohibits the use of an SMV emblem on any other vehicle. Is an APV or utility vehicle a piece of “farm machinery” that requires an SMV, or a vehicle that should not display an SMV? Because there is not a clear answer to this question, farmers should check with local law enforcement for its interpretation of the law. While asking local law enforcement whether it allows farm-use APVs or utility vehicles on the roadways, also ask whether the vehicle must display an SMV sign. Several of the law enforcement officers with whom we spoke stated that their county wanted farmers to display an SMV, but others may view that as a prohibited use of the SMV emblem. Mud and manure. Ohio law prohibits the placement of any earth, mud, manure or other injurious materials on a public highway. Farmers should take care to clean up the road if the APV or utility vehicle leaves mud, manure or other debris on the roadway. Violation of the law may result in criminal misdemeanor charges as well as civil liability for accidents or injuries resulting from the road debris. violations or offenses and no license suspensions, revocations or cancellations. ORC 4506.24. Ohio’s CDL provisions for agriculture are valid only within the State of Ohio. The federal government allows a state to make reciprocal agreements for CDL licensing with other states, but no such agreements regarding agriculture exists between Ohio and another state. Without a reciprocal agreement on agricultural exemptions, an operator who crosses state lines is engaging in “interstate” travel, which requires a CDL and raises additional federal requirements. Tagged as "Ohio CDL ag exemption" "Ohio farm CDL"